do you have power, roy? I can see the beast within the snow. We have the stampede this morning, Beth. Yikes! It’s the charm of nowadays climate changes…. more shoveling Beth. You really need your young man to shovel off the walks and driveway now. Stay warm and watch out for the ice no more injuries. cows (and buffalo) face into the storm. horses turn their back to the storm. the horse version of your picture isn’t quite as endearing. BRRR! I love bison and birds, and I love your post. Ack! Scary!! I couldn’t get on a flight to take me home to Boston today because of that buffalo. 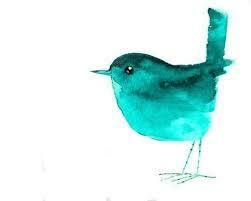 Hoping I fly home tomorrow as if on a bird‘s wing. 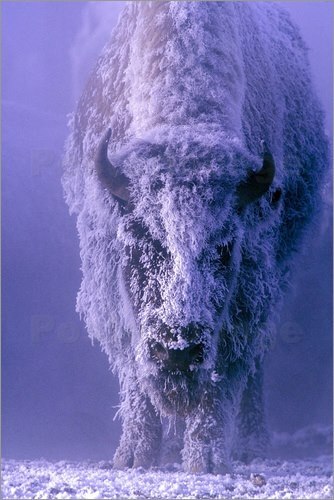 What a wonderful capture of the beast from the snow – it gives me an idea of what you have been hav ing the last week and I believe you can expect more to come. I wouldn’t step to ask him the time I can tell you!! !